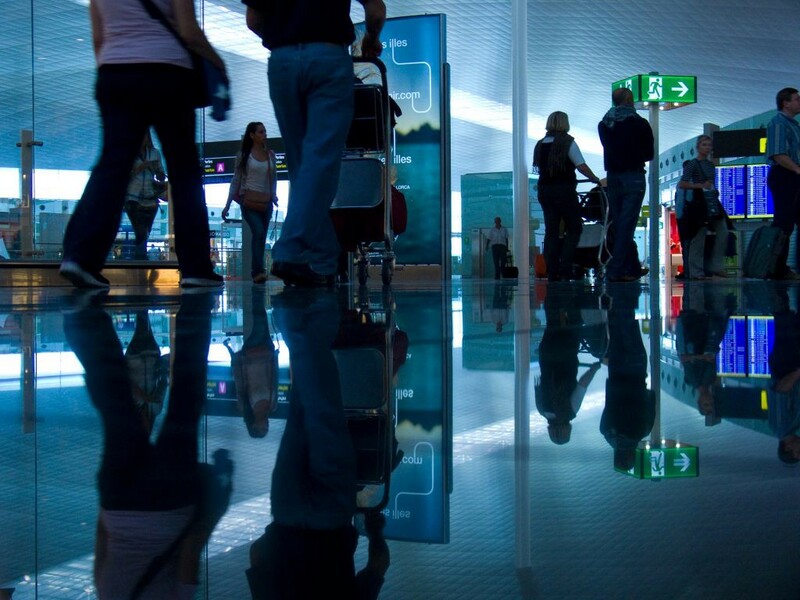 Global Entry: What is it and is it Worth it for Travelers? If you’ve traveled internationally in recent years, you may have noticed signs for Global Entry as you made your way to the long line for customs and immigration when arriving back in the States. Furthermore, if you’re anything like me, you may have assumed that this Global Entry offering was something exclusive to those with some sort of status — either the airline loyalty kind or the more generic social kind. As it turns out, the privilege of having Global Entry is far more attainable than you might expect and comes with some additional perks that some may not realize. Still, one can’t help but ask: is it worth it? Let’s take a look at what you need to know about Global Entry to see if it’s right for you. What is Global Entry and How Do You Obtain It? Global Entry is a program offered by U.S. Customs and Border Protection (CBP) that gives you expedited re-entry at select airports. This is achieved through the use of dedicated kiosks at major airports that allow you to bypass the main processing queue. Contrary to what the name might imply to some, the program will only help you out when returning to the United States from travel abroad and comes with no special benefits for bypassing customs or immigration checkpoints in other countries. In addition to making the re-entry process easier for international travelers, another major perk of Global Entry can benefit domestic travelers as well. As part of your Global Entry status, you’ll also be eligible for TSA Pre✓. To be clear, this means that TSA Pre✓ is included in the cost of Global Entry, allowing you to take advantage of both programs. 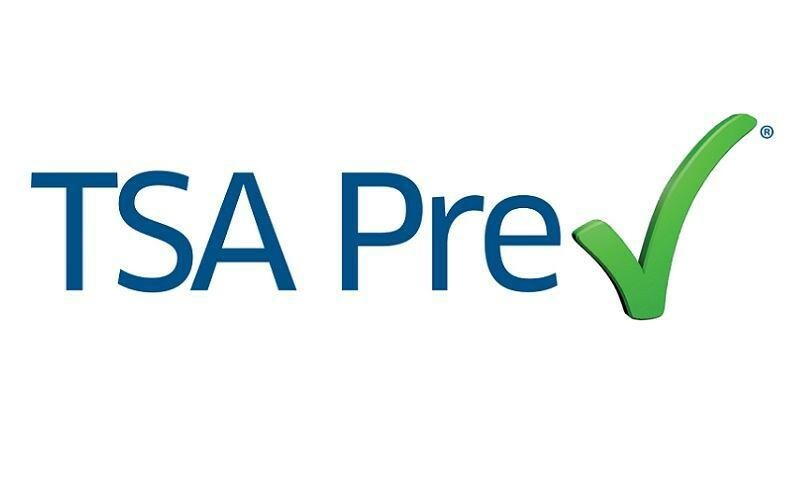 If you’re not familiar, TSA Pre✓ allows pre-screened, low-risk individuals to utilize a separate security screening process at participating airports. Not only does TSA Pre✓ typically have its own queue but also observes a different set of procedures than the regular TSA line. For example, TSA Pre✓ passengers are able to keep laptops, “3–1–1” liquids, and other items in their luggage instead of having to pull them out. Additionally, your shoes can remain on during the screening and you’ll most likely pass through a simple metal detector instead of a full body scanner (pro tip: just make sure to completely empty your pockets before passing through). Currently, Global Entry status is available at a price of $100 for five years. Meanwhile, TSA Pre✓ on its own goes for $85 for the same five-year membership, making Global Entry a potentially stronger value. The one catch is that this $100 cost comes in the form of a non-refundable fee you’ll pay when submitting your application (more on that in a moment). While I have yet to read of someone being denied and being out a C-Note, it would seem that this is an actual possibility — so be sure to read up on all of the eligibility requirements before deciding to apply. Obtaining Global Entry will require two basic steps: completing an online application and (if approved) attending an in-person interview. As for the online part, you’ll need to provide various background information such as your passport info, past addresses you’ve lived at, employment history, etc. However, before you can get that far, you’ll first need to set up a Trusted Traveler Program (TTP) account. The good news here is that, once you do this, you’ll be able to pause your application progress and return to it later if need be. You’ll also want to keep your login info handy as you’ll need it to check on your application status, obtain your Known Traveler Number and more. As I mentioned, before you can submit your application, you’ll need to pay that $100 fee. Once that’s taken care of, you can continue to check up on your application status. In my experience, it took a few weeks to hear back about my application. I’ve seen online that some applicants hear back within days so I’m not sure if I just caught them at a popular time but, in any case, don’t start to panic (like I did) if yours isn’t completed so quickly. After the online application has been reviewed, you’ll receive what they call “conditional approval.” This just means that you still need to complete your in-person interview before you’ll officially obtain Global Entry status. You can view a list of enrollment centers where these interviews are offered in order to schedule yours. Something to keep in mind is that Global Entry interviews are only conducted at select international airports. For us, this meant that our best option was driving up to Kansas City while my friends in Central Florida are lucky enough to have interview locations in Orlando, Sanford, and Tampa. Lastly, if there are no interview times available before your travels, some locations offer “Enrollment on Arrival,” allowing you to complete your Global Entry interview on the spot — just make sure you have a long enough layover to accommodate this process. So you’ve made it through the application process and interview — what’s next? Well, it may take a few days for your Global Entry card (which is unnecessary when re-entering at airports) to arrive in the mail, your Known Traveler Number will be ready to use much sooner. This number is important as it will be associated with your TSA Pre✓ and Global Entry accounts. Because of this, you’ll want to make sure you enter it when making travel reservations and add it to any airline loyalty profiles you may have. Unfortunately, if your boarding pass doesn’t say TSA Pre✓ on it, security agents won’t allow you to use the Pre✓ queue. That’s why it’s a good idea to double check that the airline has your Known Traveler info ahead of time. I’ll be honest and admit that, for a long time, I didn’t see much of a benefit to TSA Pre✓. Heck, on some occasions, it seemed that the Pre✓ line was only nominally shorter than that main queue. Add in the fact that I’ve never seen my beloved Springfield airport with more than a ten-minute security line and you can start to see the reasons for my skepticism. However, my feelings about TSA Pre✓ changed greatly after I got to experience the difference firsthand. On a trip back from Los Angeles, we were randomly directed to a different security line that happened to double as the Pre✓ line. Let me tell you: taking out your laptop and liquids and removing your shoes might not seem like a big thing when you’re used to doing it every time, but not having to worry about it proved to be such a weight off of my shoulders. When we encountered similar treatment after passing customs in Atlanta, my love for the stress-free TSA Pre✓ lifestyle was cemented. I will also say that, despite what my ill-informed observations suggested, there can be significant time savings with TSA Pre✓. This is perhaps no more evident than at airports like Orlando International (MCO) — a destination with a reputation for long security lines, likely due to the high number of families heading back home from the theme park mecca. Of course, my Pre✓ status won’t stop me from arriving my customary two hours early for my flights, but I honestly could cut back if I wanted. Incidentally, I actually have yet to utilize Global Entry for myself. However, my wife took a trip to Paris last month and got to test it out for the first time. From what she reported back to me, she experienced literally no line when re-entering the U.S. in Miami. All she had to do was visit one of the special kiosks, scan her passport and her fingers, answer a few on-screen questions, and she was off. She estimates that this managed to save her at least half an hour compared to those who had to wait in the regular line. It also saved her the trouble of filling out a customs form as these are unnecessary for Global Entry users. Given all of this, she was pretty psyched about her experience. As I mentioned earlier, it took weeks for my online application to be processed and for me to receive conditional approval. Part of me wonders if this perceived delay was at all related to my self-employment, but it’s entirely possible that this length of time was completely normal and I’m making something out of nothing. In any case, the second half of the application process was incredibly simple. Although the face-to-face interview that comes with obtaining Global Entry status may seem intimidating to some, it was actually a piece of cake. My assigned officer asked only a handful of questions — mostly just confirming the info in my application. The only other thing they asked was if I had any other questions about the program or how to use it. After that, it was time to scan my fingers (which is required since that’s how you’ll prove your identity when using the Global Entry kiosks) and, just like that, I was official. Within a day or two of that, my Known Traveler Number was live and ready to use. Stick with TSA Pre✓ or go with Global Entry? In my opinion, if you’re considering TSA Pre✓ and you have any possible plans or traveling internationally within the next five years, I’d definitely spring for Global Entry. After all, at a price of only $15 more, it seems like a no-brainer to add this extra service. That said, there are some potential downsides to applying for Global Entry compared to just TSA Pre✓. Topping that list for us was the fact that, although there’s a TSA Pre✓ interview location in Springfield, the nearest Global Entry location was three hours away in Kansas City. Since we travel abroad with some frequency, this mini road trip was a small inconvenience for a much larger benefit — but I could see why those who aren’t sure if they’ll actually use Global Entry might be dissuaded by this. The only other thing I question about Global Entry is whether the time you save during re-entry is actually of much benefit to you. Let me explain: in most cases, I suspect you’ll have a pretty healthy layover when connecting from an international flight to a domestic one. Thus, could the time you “save” really just be wasted waiting at the gate instead? On the other hand, this expedited process could be a huge perk to those arriving at their final destination from overseas as less time in line means getting home that much sooner. Of course, there’s also the chance that this speedier re-entry means making a flight that you wouldn’t have otherwise — or just having extra time to grab a bite before your next departure. In either case, I guess I’d have to count that as a win. Ultimately, it’s hard to say with any real certainty whether or not Global Entry will benefit individuals travelers. This being a personal finance site, I do have to say that it seems unlikely that the program will directly save you any money in the long run. On the other hand, there is definitely something to be said about the stress reduction and time-saving element that comes with the program. If Global Entry on its own cost $100, I’d be inclined to say “skip it,” but with the inclusion of TSA Pre✓, the offering is a steal as it benefits both international and domestic travelers. The ability to get through security and customs with minimal waits and without having to go through the whole rigamarole that is airport security procedures make this one travel luxury that I’ll get far more benefit out of than most others. That’s why my wife and I are both excited to have Global Entry status and look forward to taking advantage of it many times in the next few years.